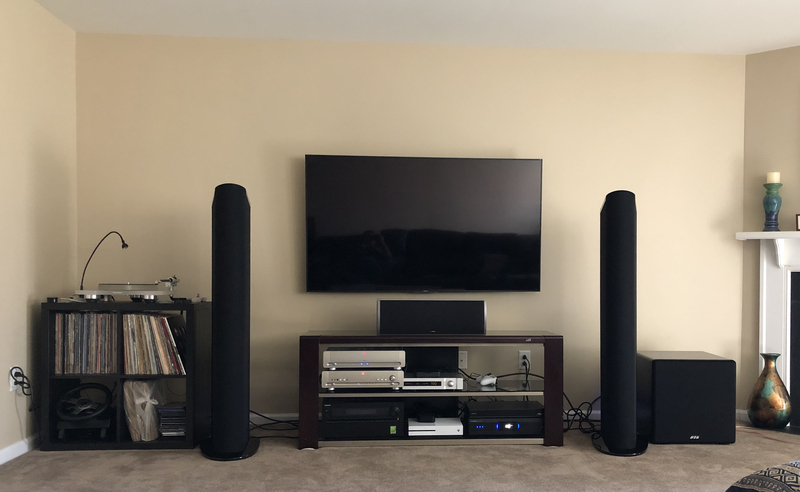 Polk speakers are part of my 2CH and HT setup since 2000, but I thought I reached the point with my other gear to start looking outside to evolve my system. I have been using LSiM 705 for one plus year and really dig the overall sound and they are real good value when purchased at Friends & Family sales. I was content with midrange but was looking for refinement at both top and bottom end. I set the budget at under $5K . There are ton of options at this price point but I short listed to a few based on my experience of listening to various brands at audio shows / dealers. The final tossup was been Sonus Faber Sonetto V, Focal Electra 1028 BE and Goldenear Technology Triton 1. If I can sum the listening experience to one word it will be, Sonetto V = Musical, Electra 1028 = Crisp , Triton 1 = Clean. I can be happy with any of these but I chose Triton 1 due to much extendined bottom end by virtue of powered sub section and extended and clean sound signature overall. Plus I got good deal on them. What I heard at dealer is staying true in my setup/room. Really loving the sound with sound stage extending much wider and higher then LSiM705. On good recordings sound stage depth also increases, really puts smile on my face. The sub is HSU ULS-15 MK2, it is 15” sealed sub, real musical and digs deep. Good looking set up, bet it sounds great! Nice! Would love to hear those at some point! I really like the GE sound. With my 2’s, I’m as content as I’ve been with one pair of speakers for some time. I would love to upgrade to the 1’s at some point. @Tony M loves his Golden Ears too!